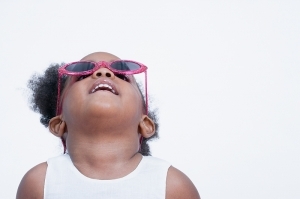 Building toddler girls’ confidence starts early. Self-doubt. Low or no self-esteem. Self-hatred. And, then it gets worse. Cutting. Depression. Girls today have it harder than ever, especially teenage girls. Is there something that we parents of young girls can do now to prevent what seems to be an inevitable path of self-doubt for so many children? Reese smiles a toddler smile. “Does Mommy love Reese?” Nonie asks. “Does Daddy love Reese?” Nonie presses on. “Does Uncle Adam love Reese?” And the conversation continues in this way for several minutes. Until then, I never realized that the things I say to my little girl really sink in, because Reese is just 2½ years old. But, in today’s world of girls struggling not to feel full of faults, I think and hope that little Reese will remain on the path of believing in herself and maintaining a strong sense of self. Something that interferes with confidence is fear. Fear is what hinders many people from fulfilling their goals and desires. For example, I thought at one time that I wanted to be a journalist. I wrote for my college newspaper and even became the news editor. After a couple of years, the editor in chief was stepping down. I was encouraged by my co-workers to run for the position. Intellectually, I knew that I could do the job, but I would have to write a bi-weekly editorial. That scared me. Out of fear, I felt I couldn’t fulfill the obligations of the position. I felt my written opinions and therefore, I, would be judged the wrong way. Ultimately, I turned down the job. Similarly, many tweens and teens suffer from feeling inadequate. According to the nonprofit organization Love Our Children USA, despite today’s incredible opportunities for women, adolescent girls are at greater risk of depression and eating disorders than boys of the same age. Girls are also more likely to abuse drugs and alcohol, and to drop out of school. And they’re at a greater risk for suicide than boys. In addition, 1 million girls become pregnant each year. As Reese’s Mom, I realize that I am one of her most important role models, especially at this time of her life. Toddlers observe everything! They mimic and repeat whatever parents do, whether it’s right or wrong. Toddlers get basically all of their cues about life from their parents— from eating and dressing to treating others in certain ways. Suppose I said to Reese that it were dinner time and she was going to have chicken and broccoli, and then I sat down with her and ate a piece of cake. I strongly suspect Reese would refuse her dinner and demand the dessert. It’s a simple case of monkey see, monkey do. Last year there was an Oprah Winfrey Show dealing with what Dr. Robin, a licensed psychologist and regular show contributor, termed “Passing the Wounds Through the Womb.” It was fascinating! A 4-year-old girl was obsessed with what she ate and worried that she’d get fat. Why would a child at this age act this way? Because her mother admitted to being anorexic when she was younger, and stated she still measures out her food. Not surprisingly, then, her daughter picked up on this behavior. On the same show, another girl, age 3, described how she hated what she looked like and didn’t feel pretty. Again, this was traced back to her mother not feeling good enough about herself as a child. This mother was so affected by not ever being told she was pretty or good enough that she tried to do the opposite with her child and showered her with constant compliments. Unfortunately, she overcompensated and the praise was so effusive that the child did not believe her mother’s continual comments. I remember watching this Oprah episode when Reese was an infant. I wondered what wounds I had inevitably passed to Reese through my womb! Yet, I realize the importance of acting as an example, not just sometimes but always, in how I live my life. I know that it’s important to show Reese that I care about myself by dedicating time for me to exercise, work, eat healthy, share moments with my husband and essentially still be my own person— in addition to being Reese’s Mom. Helping my daughter set achievable, realistic goals by focusing on who she is, rather than on how she looks, is crucial, too. However, sometimes I forget. It’s easy to say how adorable Reese looks in the morning, but to forget to commend her on eating with her spoon all by herself and not spilling anything. I do not know whether my light-hearted chats with my toddler daughter will make a difference once she becomes a teenager. I realize that the stresses and anxieties of being a young girl may outweigh the confidence-building framework that I am attempting to develop in my daughter. As such, I can only hope that Reese is able to use the tools that she has been provided, to understand that her parents’ love is completely unconditional and to go on to become an editor in chief— or anything else she desires! Writer Lori Hament-Gaon is a proud parent of a confident daughter.